As I speak with wholesale distributors, many of which have multiple stocking locations within their business, I am always interested to learn how each decides to manage their procurement. Is their purchasing centralized or decentralized? I decided to explore this idea to hear the arguments for and against centralized purchasing in a multi-location distributor environment. The challenge is to balance the pressure from the financial side of the company to reduce inventory and increase turns and the sales and service side with the need to stock enough of the right product to satisfy customers. Transitioning from a branch manager-based purchasing scheme to a centralized purchasing model is never an easy project. The inventory manger has a very difficult challenge. On the one hand, they are being pressured from the financial side of the company to reduce inventory and increase turns. On the other hand, they must stock enough of the right product to satisfy the customer to a very high degree. Unfortunately, the two are not mutually exclusive. The financial side must support strategic inventory increases in order to shore up customer service levels. But more importantly, the sales team must feel like the inventory manager has their best interests at heart. 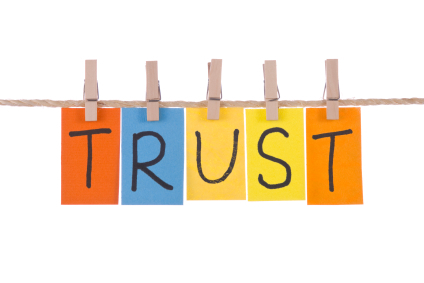 Gaining this trust is a critical step in any inventory optimization plan. The great divide between sales and purchasing comes down to perspective. From the sales perspective, the question is, “Why can’t you just buy what I sell?” The purchasing camp comes from an opposing viewpoint, “Why can’t you just sell what I buy?” This is the classic chicken or egg argument. Neither is right – although many a meeting have been held trying to convince the logic behind each argument. Since the sales arguments tend to be more emotionally based, I believe that the only way the purchasing side can bring resolution is through the reliance on data. Your highest hit items are the ones that your customers, and incidentally the sales team, care the most about. These are the items that you simply should not run out of. When you do, the credibility of the inventory manager is shot. In order to make headway, inventory managers have to focus their attention on the top 100 hit items in each branch location. For those of you with multiple locations, you know that these top 100 items will not be uniform across the board. Part of the scorecard tracked the number of stock out days in this top 100 items. Ideally, you would want to drop the number of stock out days to zero for these critical items, but that may not be possible. Our goal was to drop it below five on a consistent basis. If we could do that, the sales team would start believing that purchasing was coming around to the “buying what we sell” point of view. Cleaning up days out of stock by adjusting safety stock percentage to 100%. What this means is that we will be creating a layer of safety stock equal to the average units sold during the lead time. If your system requires you to put in days of safety, then you would put in a number equal to the average lead time. In some systems, a user can put in a protected quantity. This is similar to a Min in a Min/Max replenishment method. All of these tactics will increase the inventory levels on the top 100 items and significantly reduce the number of back orders. Plus, it will make the sales team happy. Okay, maybe it will help them whine a little less. Either scenario is a feather in the inventory management cap. The inventory management team must FIRST gain trust through shoring up the investment in high hit items before they can start doing the real work of right sizing the inventory. When a company moves to centralized purchasing, branch managers relinquish the power to handle the needs of their local customer base. Since most branch managers are sales driven, this is not a comfortable set of circumstances. Most of them can see the logic in a centralized scheme, but there is still the fear that their customers are too far away from the person pulling the replenishment trigger. If the company wants to make a smooth transition, it can’t overlook this fear. The new central purchasing team must prioritize customer service (order lines filled complete) over inventory turns in the short term. If the new team goes charging down the inventory reduction trail first, the branch managers will rebel. Remember, they are looking for this little experiment to fail. Branch managers who do not feel that they have the inventory necessary to take care of their local customers will fix the problem – and it will cost you plenty. Once the inventory management team has gained a modicum of trust through shoring up the investment in high hit items they can start doing the real work of right sizing the inventory. Like it or not, the sales teams will have to become allies with inventory managers in the liquidation of unnecessary stock. They have to believe that the inventory managers are going down the right path or they will thwart the best-laid plans – especially when it comes to stock vs. non-stock elections. Strategic reductions in inventory will improve the turns without jeopardizing customer service. I know it, and you know it, but you must earn the trust before you can implement it. What are your thoughts on centralized vs. decentralized purchasing? Which works best for you and why? Please let me know and perhaps your story will be part of a future blog. Oh, and I encourage you to to read the full article by Jason Bader here.